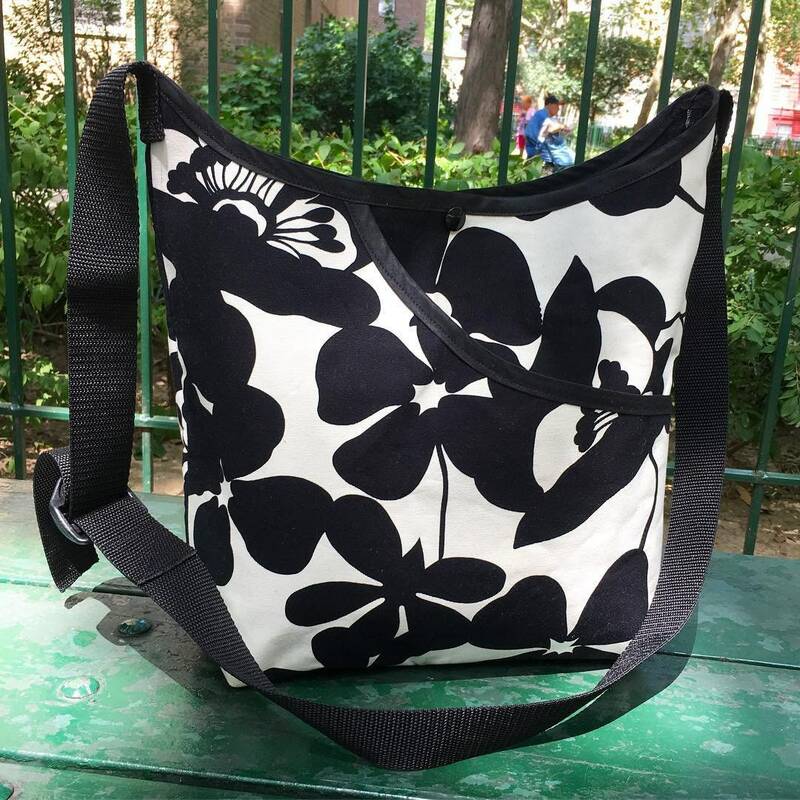 This black and white floral cotton canvas market bag is the perfect choice for when you want to travel light. 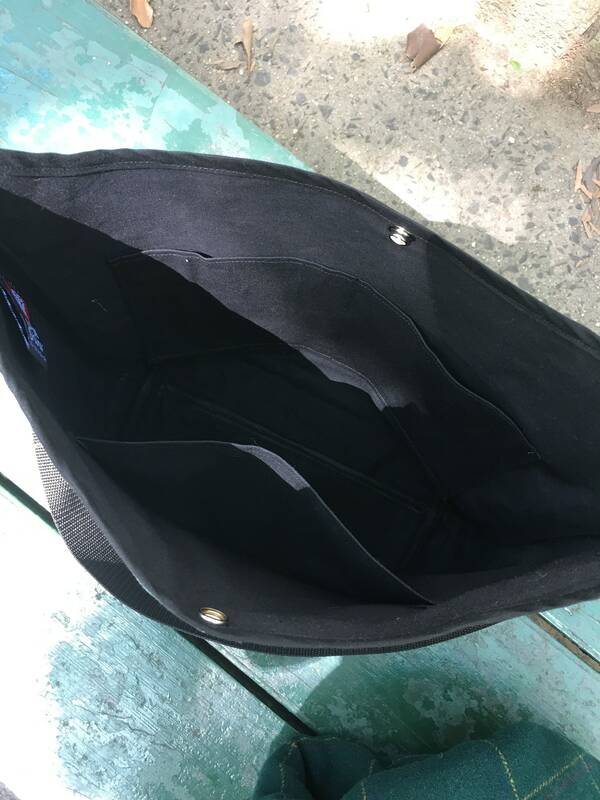 This bag is lined with a lightweight water repellant canvas and features one interior pocket and a larger exterior pocket on the front of the bag. 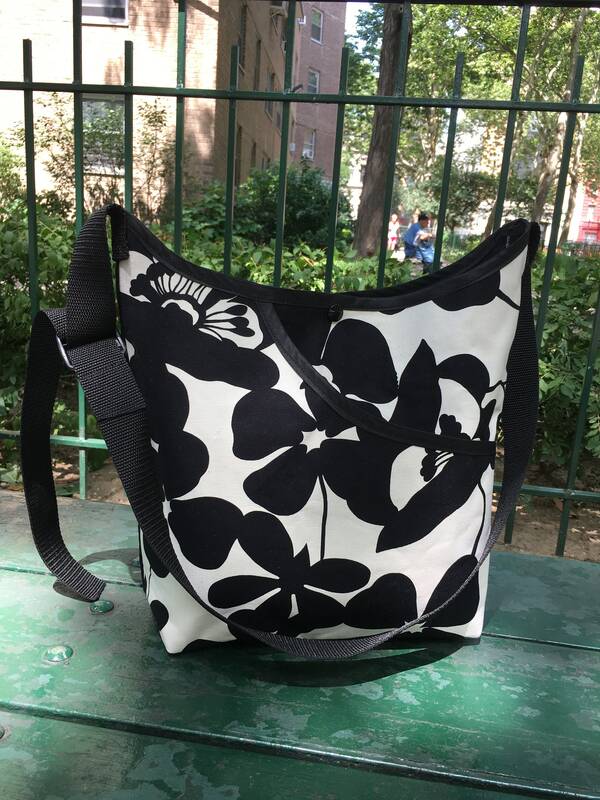 There is a comfortable and durable black adjustable poly pro webbing strap so you can wear this bag in a variety of different ways. 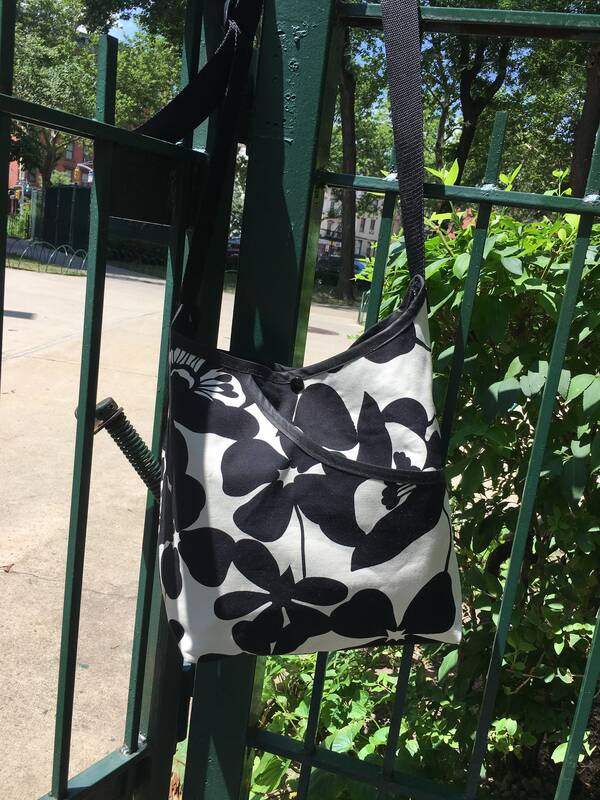 This bag has a snap closure. Hand wash cold, line dry.